Vault of Midnight is joining forces with Johnny Cupcakes, The World’s First T-Shirt Bakery, to bake up a fresh batch of cupcake-themed tees, tanks, snapbacks, windbreakers, stickers, socks, enamel pins, & more! 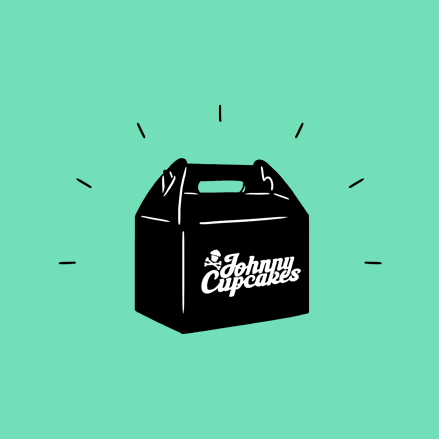 Johnny Cupcakes is a line of streetwear apparel dripping with sweet pop-culture references, often replacing iconic/nostalgic symbols with cupcakes. While the flagship bakery is based in Boston, we're bringing the buttery, sprinkle-y, goodness to Vault of Midnight's shelves for one day only! Stop on by and pick up some unique gifts & wearable baked goods. We'll also have complimentary sweet treats, raffles, music, and a FREE GIFT just for attending!